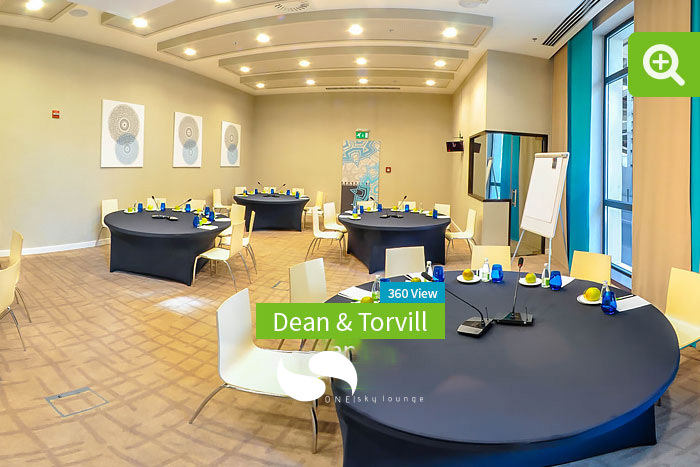 Modern conference room on the ground floor with the latest technology for successful meetings, conferences and guests for up to 110 guests. Our versatile meeting spaces can be combined and partitioned to suit a variety of events. Handy extras like translation services and special lighting ensure your event is visually appealing and runs smoothly. 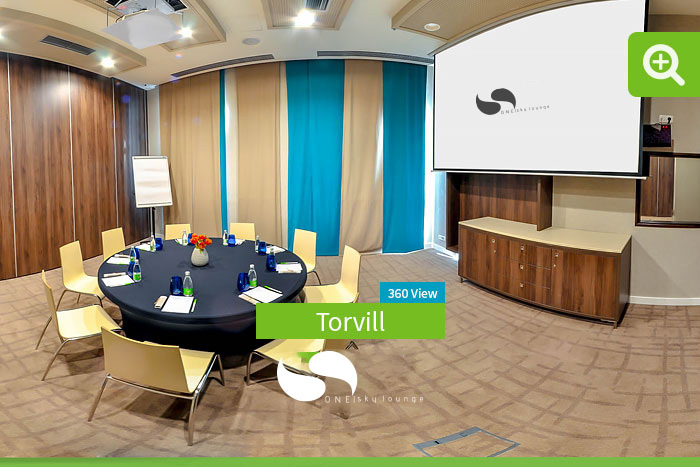 Our largest meeting room is perfect for mid-sized meetings and can be combined with the Torvill room to create a spacious 106 square foot space. 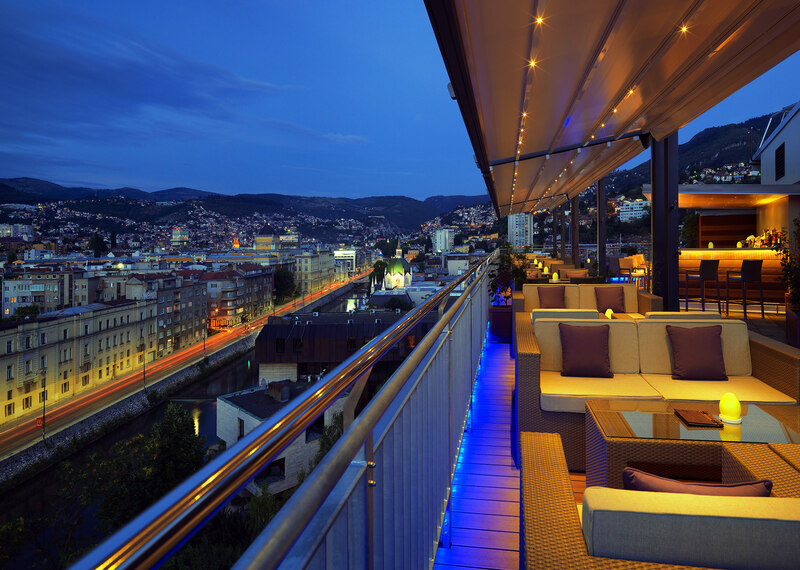 Expansive pre-function with easy access to the restaurant will help you to save time and give you enough space to thoroughly enjoy fantastic coffee and lunch breaks prepared by our masterful S One Restaurant Team. This conference room is a 74 sqm bright, flexible multi-purpose space perfectly suited for lectures, conferences, trainings or any other event that benefits from a flexible space.Conference room also features additional meeting amenities that complement the meeting facilities such as high speed internet access, in-house audio visual services with an on property professional technician, podiums, presentation boards, staging and other standard equipment. Handy extras like translation services, music and special lighting ensure your event is visually appealing and runs smoothly. This small boardroom on the ground floor is the perfect venue for small meetings and discussions with up to 15 attendees. The room provides natural daylight and Wi-Fi. Room has removable walls enabling Dean room to be utilied also, this making it suitable for larger groups and catering space. 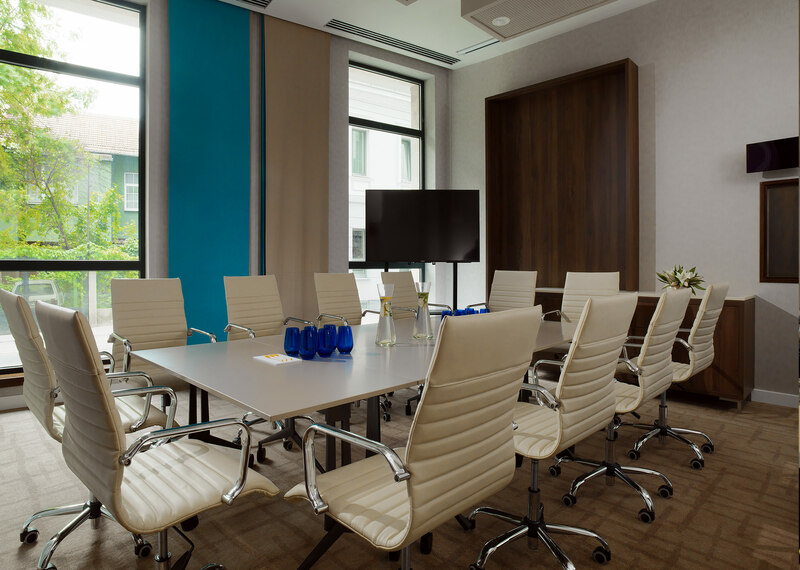 The boardroom Torvill is located on the ground floor and features natural daylight, professional training equipment wrapped in high class stylish business environment which cater to all your business needs. It accommodates a maximum of 15 guests in a flexible seating style. 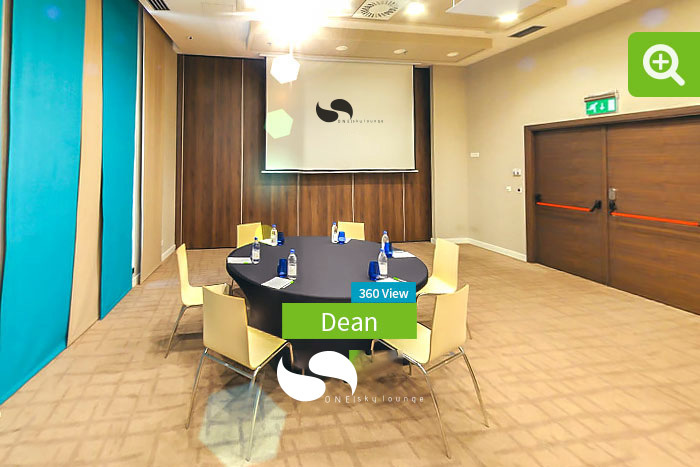 This room is well-suited for board meeting, executive conferences and as separate break out area for smaller group sessions or casual conversation. 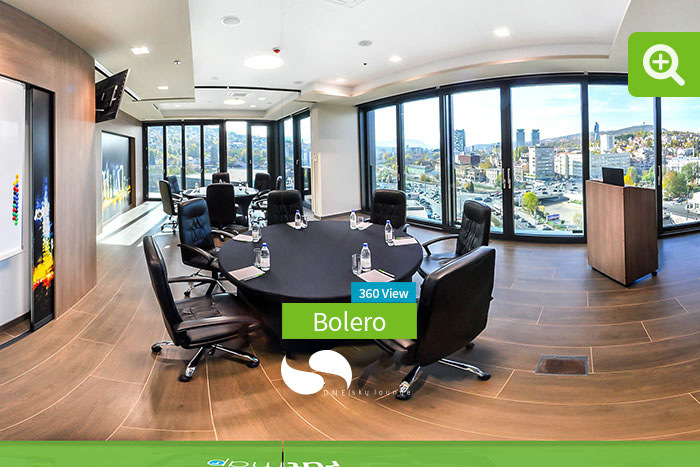 This conference room is located on the 8th floor and is unique venue to downtown Sarajevo with its many configurations available, floor to ceiling windows, audio-visual equipment and an unbeatable panoramic views of the city. 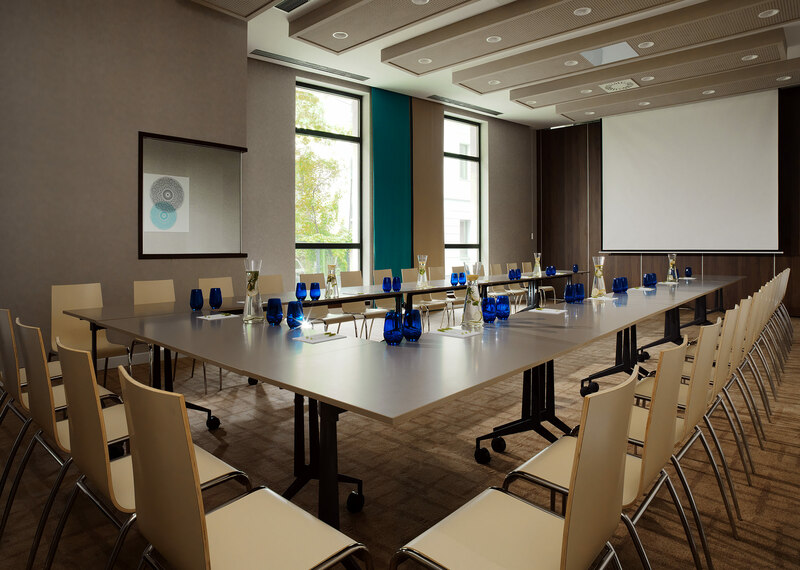 This conference room is perfect for board meetings, executive retreats and private events ranging from seated dinners and cocktail receptions to media showcases and fashion presentations.A state-of-the-art audio-visual equipment will provide the best presentation experience available, enhancing your message and meeting. Natural lighting and a bank of river-facing windows will brighten your experience by creating a pleasingly open and relaxing environment.